Work on the Dr. Kuyperstraat has finished so we are reachable as normal again. Also tram number 9 is back on track. 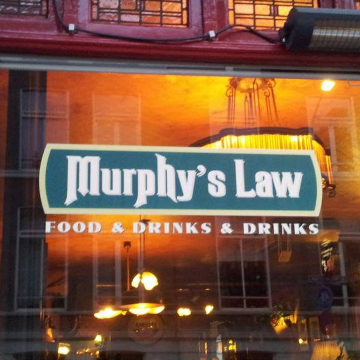 Murphy's Law is the only pub in The Hague which serves both the Murphy's Stout and the Murphy's Irish Red on draught. Also a wide range of bottled beers are available, as well as six special craft beers on draught. Our wide assortment of digestive drinks deserves one's attention. Special Grappa's, Cognacs and a great selection of whisky. Naturally we also pour a beautiful glass of wine. Alongside drinks we also serve delicious homemade snacks. 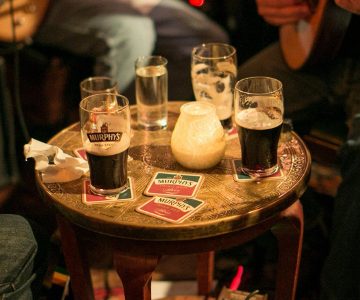 Murphy's is particularly suitable café for a party, company drinks or a reception. From now on all our Tuesdays will be known as Beer-Days!! 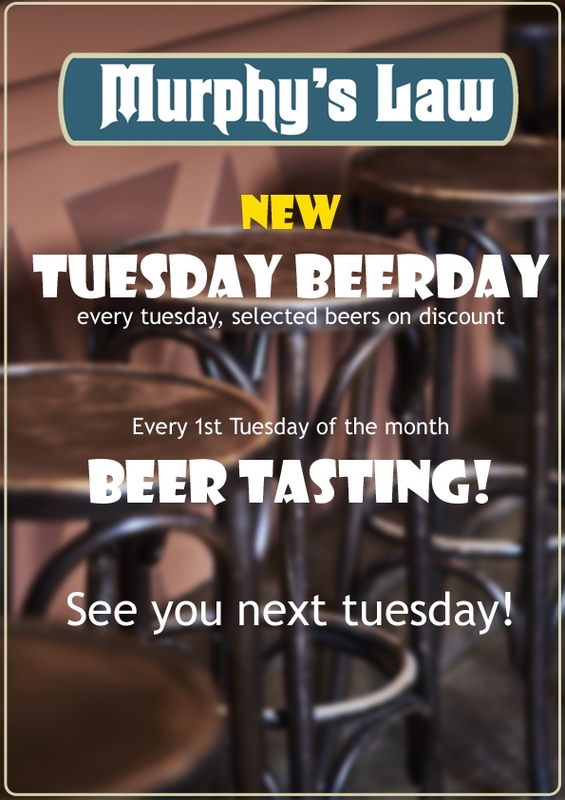 With different selected beers in discount each week, and a beer tasting every first Tuesday of the month we invite you to come on over to experience some nice new tastes!